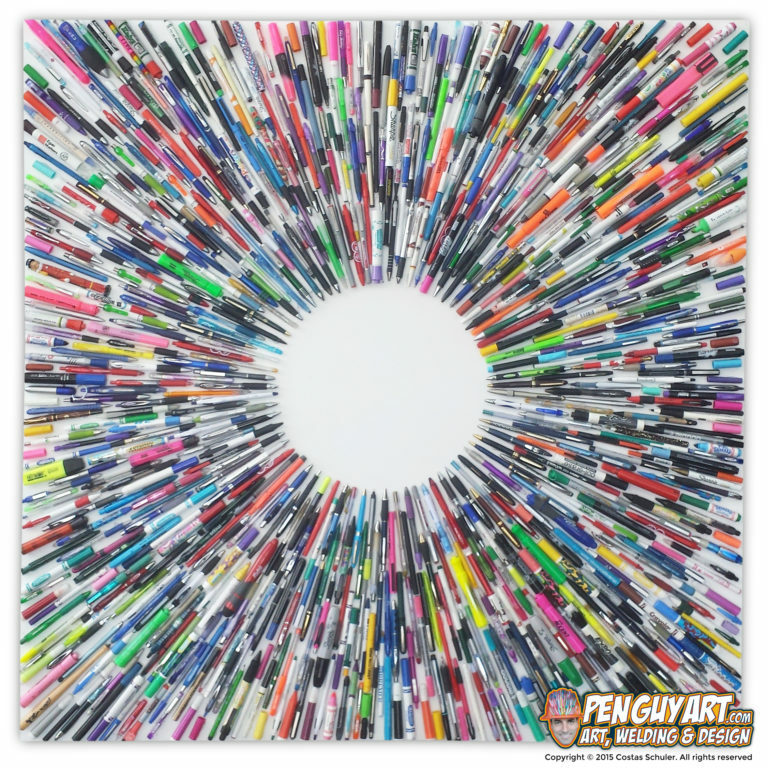 Pen Guy Art is collecting used pens and creating incredible life transforming recycle art. Over 500k pens donated so far. 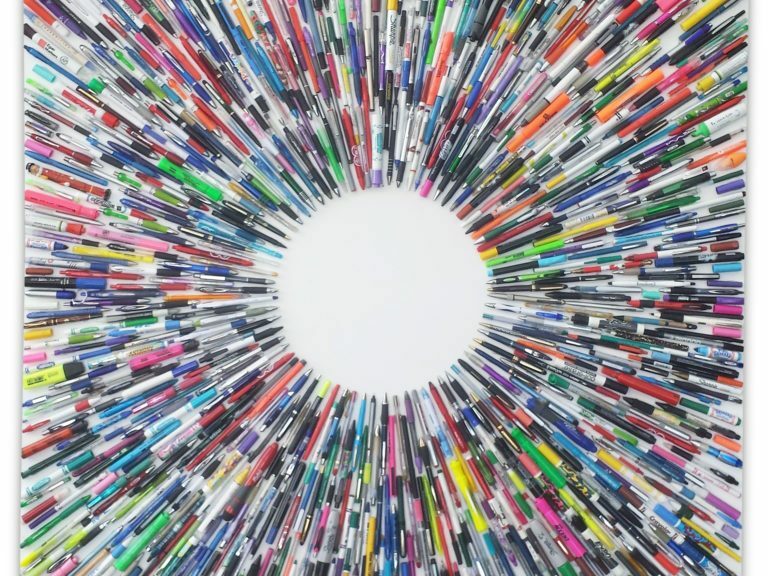 Donate your Ball Point, Dry Erase, Crayola, Felt Tip, Markers, Mechanical Pencils or any other type of pen and experience the transformation into beautiful recycled pen art. Go around your house or business and locate all the pens that are stashed or hiding inside drawers, boxes and/or couches. Gather all the ones that are ready to be shipped and place them in an envelope or box depending on the amount of dead pens you have. There is no minimum amount of pens you can sent.